For years now, the Pentagon has been in the market for new heavy-lift launch vehicles – rockets that can lift between 44,000 to 110,000 pounds. Currently, the only market options available are either too costly or too reliant on Russian-made parts. To that end, SpaceX CEO Elon Musk announced that he will begin devoting most of his company’s efforts on developing the “BFR” – short for Big F-ing Rocket – which will allegedly be so huge and powerful that it will make the company’s previous rocket lines outdated in just a few short years. Musk stated at the South by Southwest conference that it is expected to be ready for short flights next year. This week, he announced that production will soon occur in Los Angeles. Although already receiving over $70 million in government funding for the BFR, SpaceX announced it wants more appropriations to help it power through to the finish line. But given the company’s rocky history, as well as the steady influx of competition in the aerospace realm, perhaps the Pentagon should not extend Musk’s funding marker until the company demonstrates the ability to fix the security issues in its other rocket lines. If Musk’s BFR’s script seems oddly familiar, that’s because it is. Previously, SpaceX said it would change the heavy-lift rocket game with its Falcon Heavy – a rocket that launched for the first time in February – but this Disney-esque storyline may not pan out as imagined. Not only did the Falcon Heavy’s core rocket booster crash into the ocean on its inaugural launch, but its for-show Tesla Roadster payload also overshot Mars’ orbit and could collide with something in space years down the road. While these lift-off issues can be rectified for future missions, there may be more reliability concerns than meet the eye. Things seem far from stable. Both NASA and the Air Force reportedly declined Musk’s offer to put a payload on the launch. Even Musk himself seemed to believe a launch explosion was likely. The third booster and payload trajectory went off course this time, but there may very well be different, independent issues in subsequent launches. And yet, instead of devoting its time to fixing these errors – or the 33 major security issues associated with its other rocket line, for that matter – SpaceX has vowed to spend the bulk of its efforts on developing a new rocket that it wants more taxpayer money for. Which begs the question: is a lack of faith in the Falcon Heavy’s ability the reason Musk plans to already make it “obsolete” in just a few short years with the ‘bigger and better’ BFR? The steady stream of outside competition is likely adding to Musk’s uncertainty of the Falcon Heavy’s future and desire to build something new. For example, the Vulcan, a heavy-lift rocket in development by the United Launch Alliance (ULA), is expected to debut by mid-2020. Like SpaceX’s Falcon Heavy, it will also be reusable and very cost-competitive at “sub-$100 million.” Unlike the Falcon Heavy, it will use cryogenic oxygen and hydrogen to prevent it from freezing in space after a short period of time – a well-thought out touch that may give it an edge over its competitor. At the same time, Jeff Bezos’s Blue Origin is targeting a 2020 debut for its privately-funded New Glenn rocket system. Bezos’s creation will have an entirely reusable first stage and stand at 270-313 feet tall, hence towering over Musk’s heavy-lift rocket. Per DGIT Daily, Blue Origin will unquestionably outrank Musk’s company once the New Glenn takes the skies “unless SpaceX has something else up its sleeve.” Increased competition in the aerospace industry is also expected to soon come from companies like ArianeGroup, Paul Allen’s Stratolaunch Systems, and Orbital ATK, so NASA is under no circumstances beholden to SpaceX. The problem here appears to be that Musk, who once said that it should be “game over” for all other heavy-lift rockets, may be paranoid about this competition and compelled to assert his dominance. One of Musk’s most outlandish proclamations came when he stated that he’d “eat his hat with a side of mustard if [the Vulcan] flies a national security spacecraft before 2023.” This was an odd statement for the SpaceX CEO to make given that Falcon Heavy’s February test firing came only after the company promised a maiden lift-off by 2013-2014, Spring 2016, late 2016, and November 2017 – not to mention the numerous broken promises it has made with the Falcon 9, including a fourth straight flight deadline missed just last month due to nose cone problems. 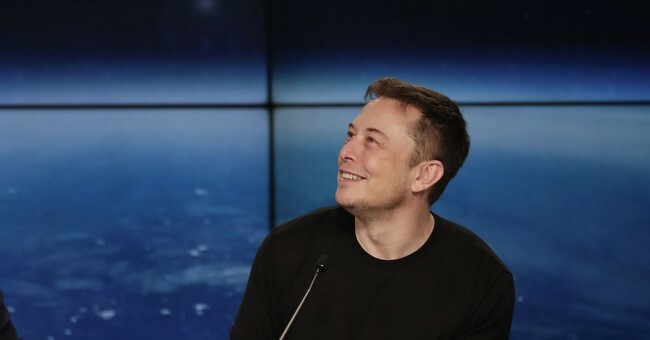 If reliability is truly a national spaceflight concern, it’s not due to the company with 125 straight successful launches – it’s because of issues spurred by Musk himself. While cutthroat competition is a valid reason for any entrepreneur to desire building something more sustainable, it should be done on the company’s own dime. SpaceX has already received over $70 million from the government to develop its BFR rocket. Giving any more than this amount to a company that already has some unresolved security issues when its list of competitors is increasing by the day would be incredibly stupid. Taxpayers are supposed to finance security assets, not corporate bandages. Washington withholding funding for the BFR until much-needed rectifications are made will increase, not decrease, SpaceX’s output quality. The government’s “do or die” ultimatum has produced favorable results when dealing with past government contractors, and I would suspect equally positive outcomes would occur in the case of SpaceX. The time is now to do what’s right for our national security by demanding accountability.